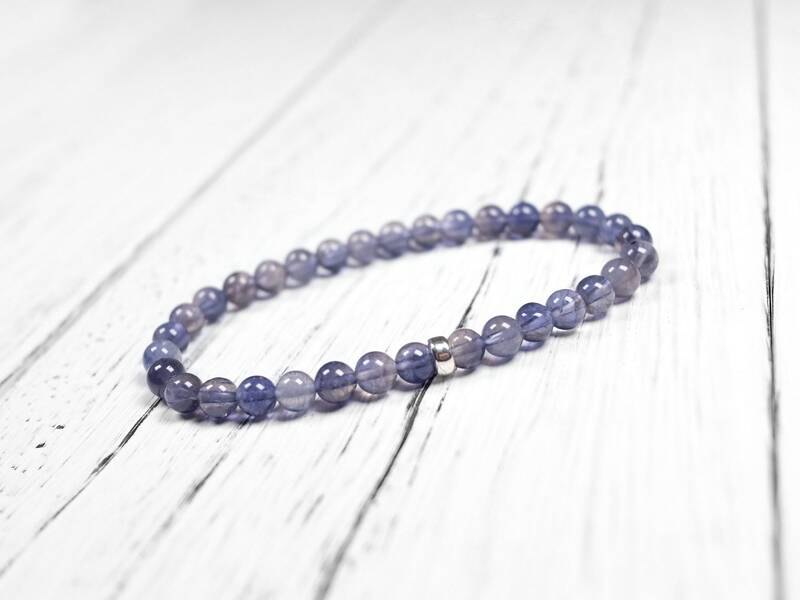 This iolite is natural and genuine. 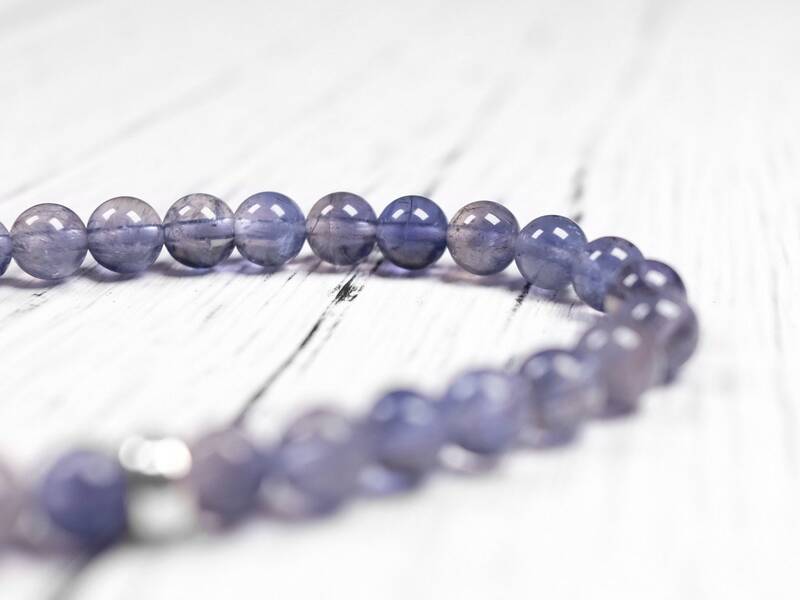 It has a rich blue color with a purple hue. Some natural inclusions and fractures inside. However, it shows a good amount of pheochroism, which means that beads will look different color when viewed at different angles. Very interesting optical effect. 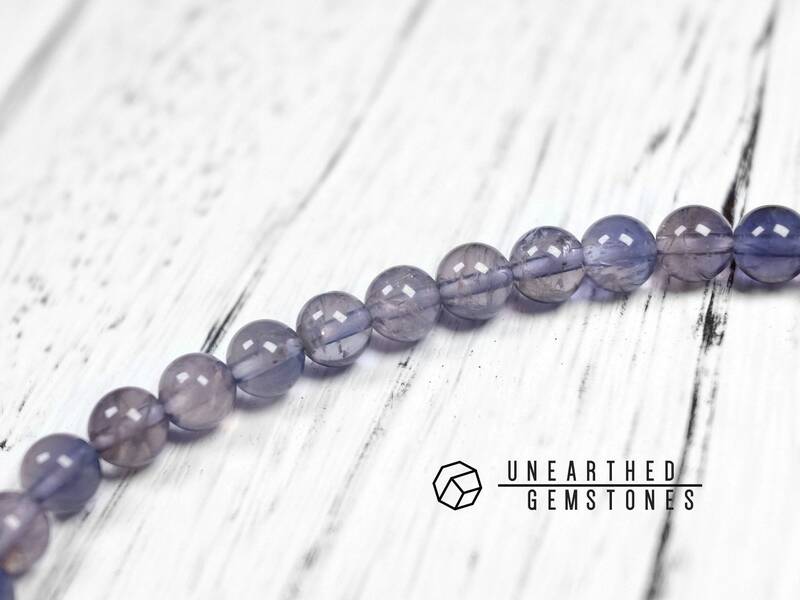 With the sterling silver bead, this bracelet is the way to show this beautiful gemstone. 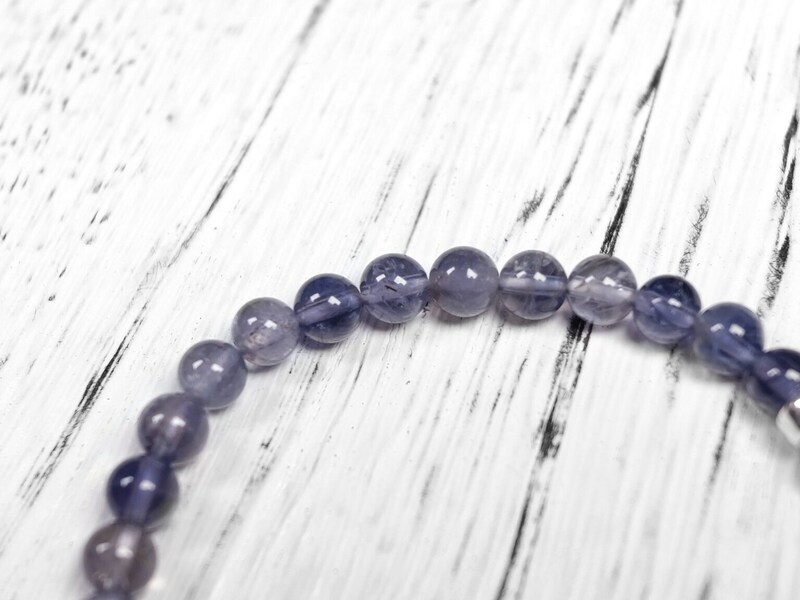 This violet blue colored gemstone is a variety of the mineral cordierite. Also known as “water sapphire” because of its blue color. 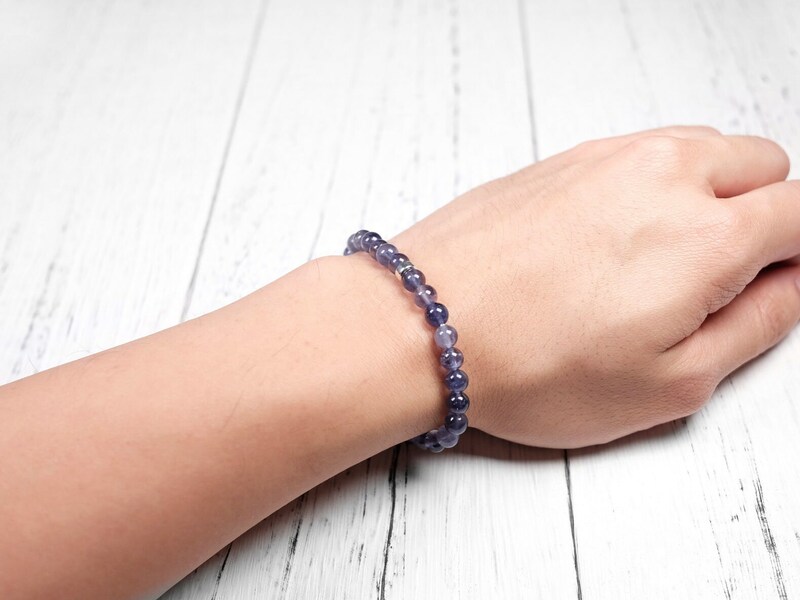 Because of that, iolite is a good substitute for the highly-prized sapphire and tanzanite. 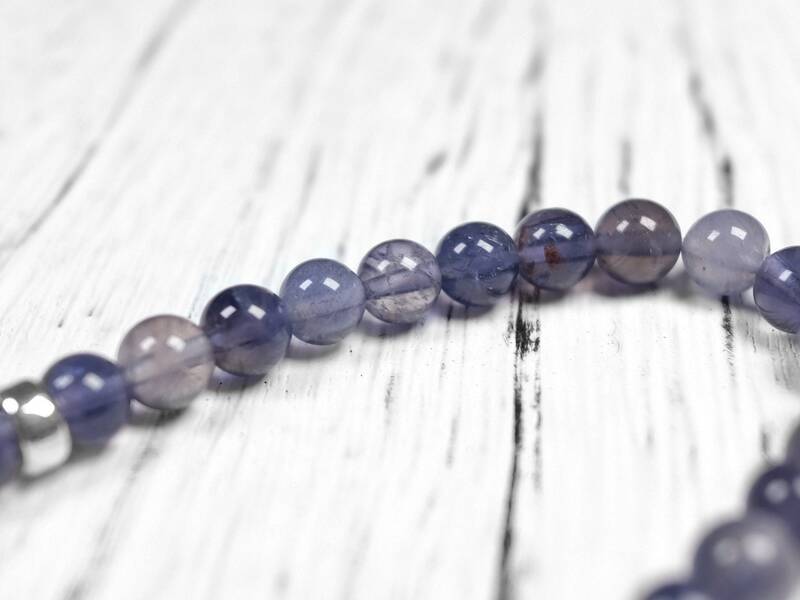 Interestingly, iolite is the most pheochroic gemstone, which means that the gemstone will show a different color when viewed at different directions. 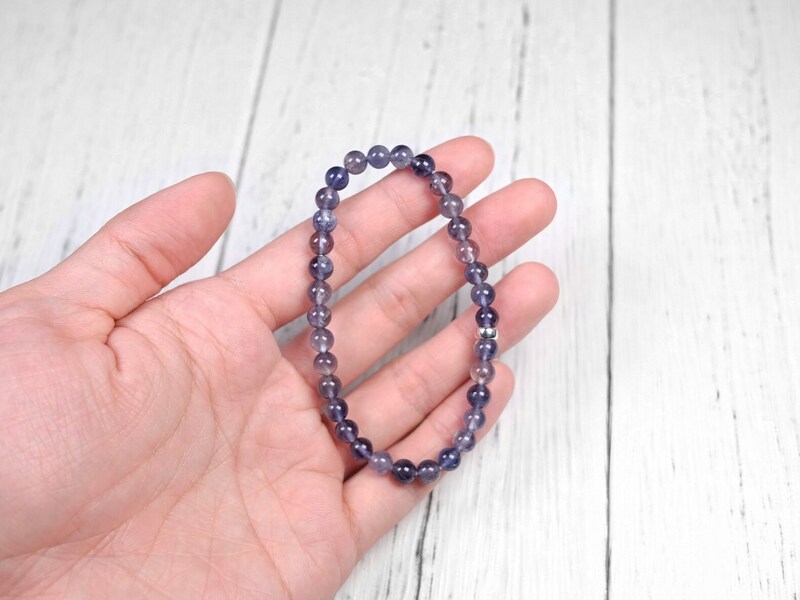 The violet iolite can become a grey-blue color or even colorless when looked at a different angle. 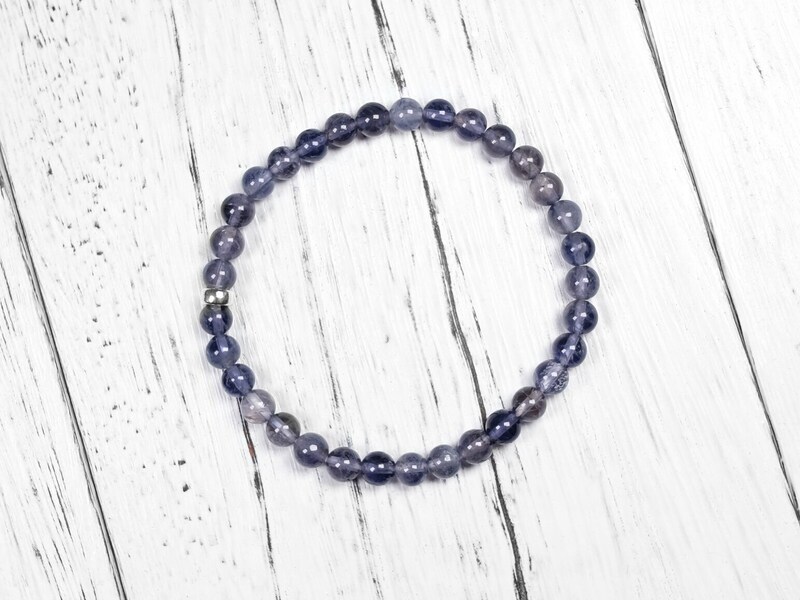 This is an absolutely beautiful iolite bracelet! 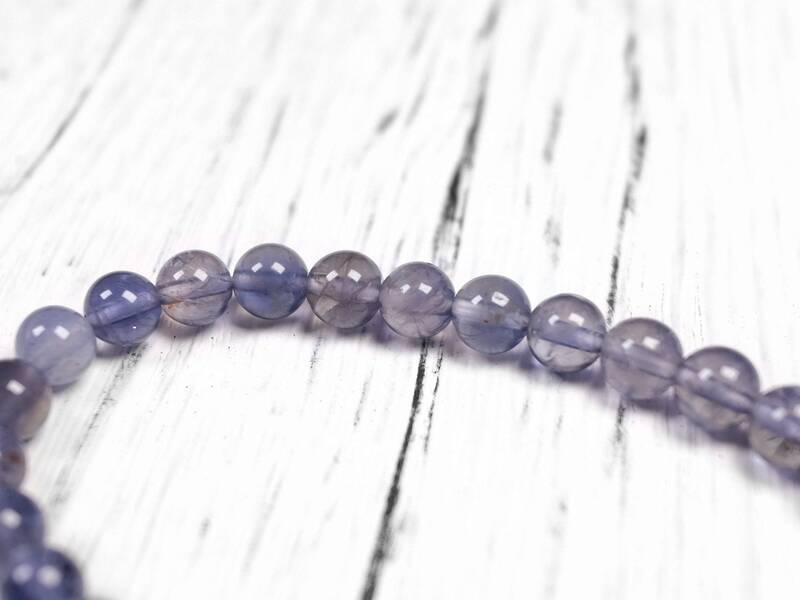 I am so happy it was available in 6mm beads, as I have small wrists. 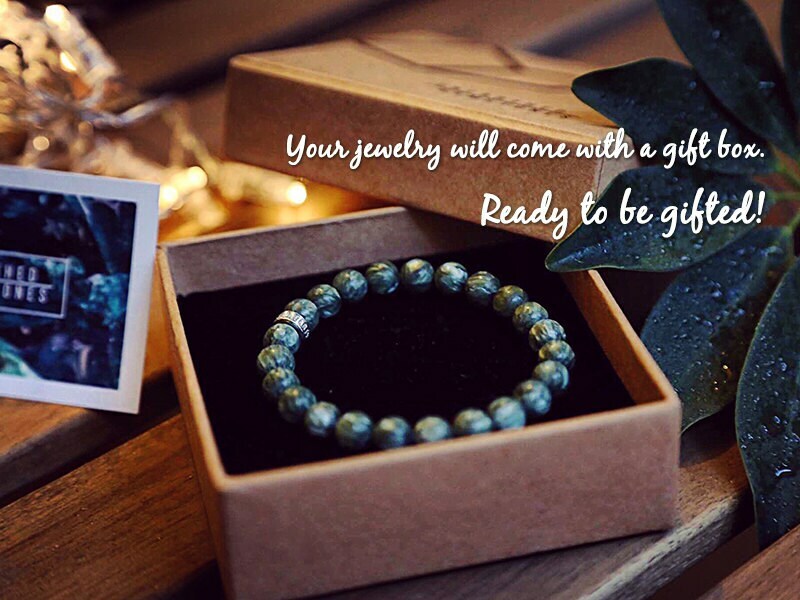 I can't stop loving all the bracelets I've purchased from this shop and Andy is just awesome!! !